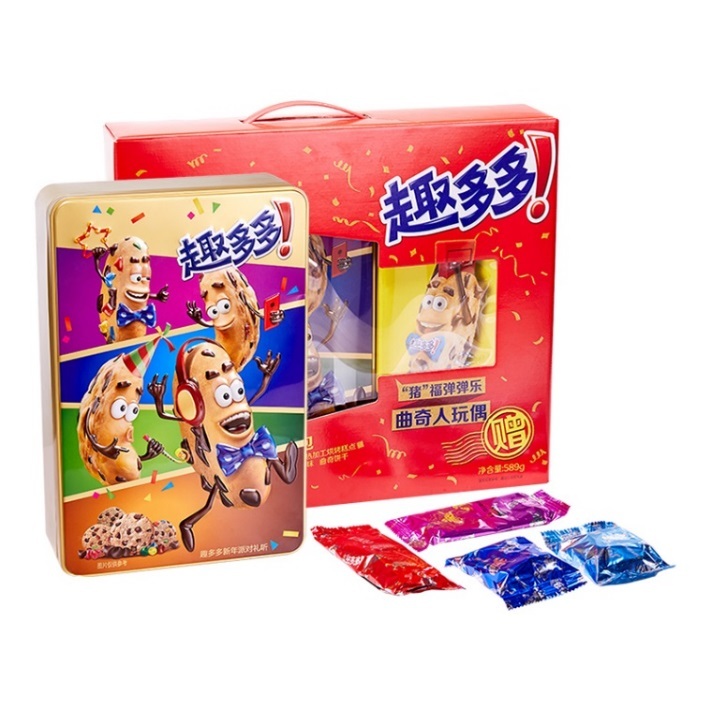 Mondelēz China Presents You Customized Chinese New Year Surprises | 2019 Press Releases | China | Mondelez International, Inc. The Spring Festival for the Year of the Pig is around the corner. Various kinds of Chinese New Year merchandise have already been launched one after another in order to let Chinese consumers spend a joyous Spring Festival. Among them, snacks arguably play the key role catching many eyeballs. Mondelēz China, an international snack giant who's been in China for over three decades, knows that the Spring Festival is an important consumption occasion for Chinese people. Therefore it puts much emphasis on the product development and marketing for the Spring Festival occasion, and launches novel customized products during this period to win consumers’ hearts. What exciting products are they going to provide for this year? Let's take a look! 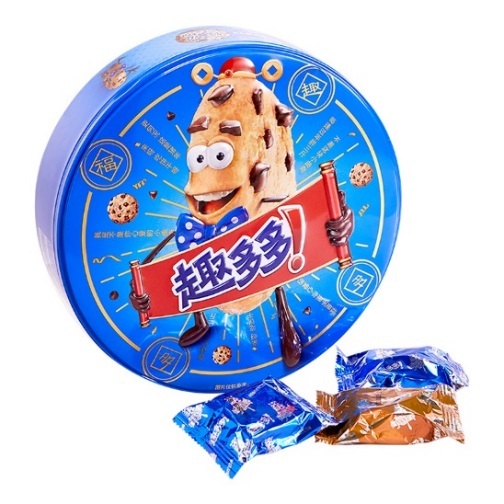 LU cookies as the high-end products introduced to China by Mondelēz China have been known for its French legacy spanning over 170 years, as well as their delicious but not greasy taste. Prior to this year's Spring Festival, LU joined hands with China's famous fashion photographer and visual artist Chen Man to produce two limited-edition classic LU gift boxes for Chinese consumers. The gift boxes reproduced two classic posters of LU using the modern artistic approach in connection with the elements of traditional Chinese cultures. 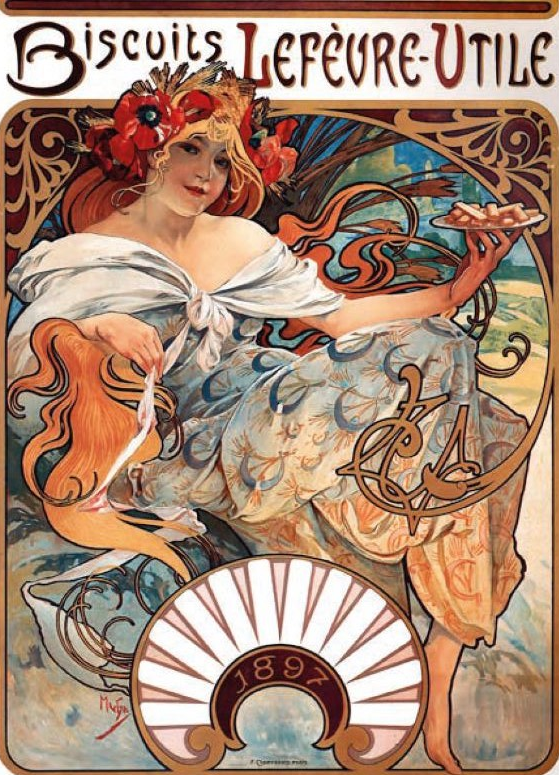 Back in the 19th century, LU already invited Alphonse Mucha, the leading artist of the new art movement at that time, to create posters for the brand. 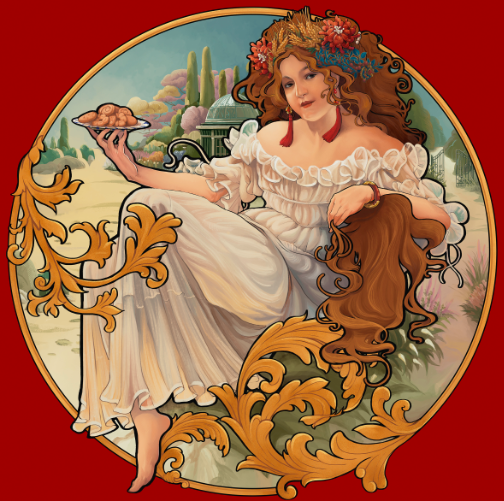 Mucha's exquisite illustrations aroused the social life of Paris, and effectuated an elegant and upscale aura of LU. 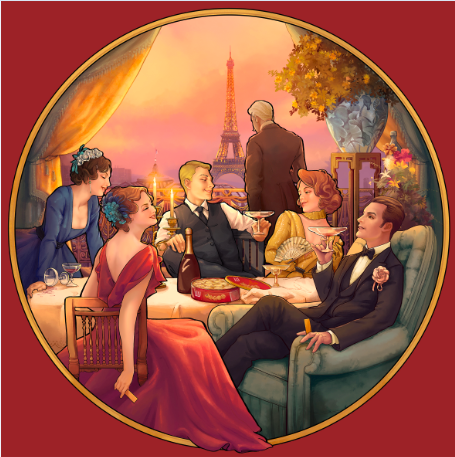 The novel image of the lady provoked an all-new aesthetic about women among people at that time. 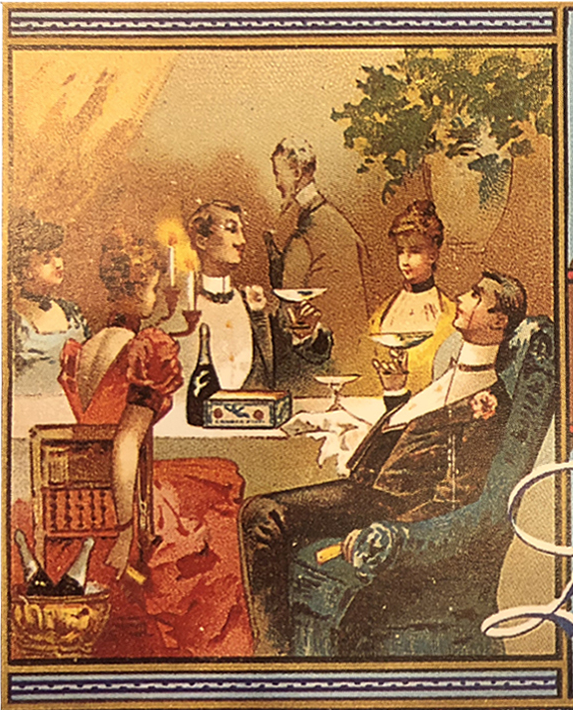 Chen Man has this to say about her inspiration for reproducing one of the posters: The image retained the original work's ingenious composition and overall tone; the warm color of orange and the formal chiffon skirt with exposed shoulders were added to the figure in the image to feel more modern; the French-style garden was chosen to be the background; and Chinese elements such as tassel earrings were used as accessories for the figure to echo the Chinese New Year. LU cookies became the typical snacks for the French nobility right after they came into being. At that time, the Eiffel Tower wasn't completed yet. And through the reproduction by Chen Man today, at a salon with the Eiffel Tower in the background, French citizens in modern clothes with foldable fans in hand are experiencing the romantic integration between Chinese and western cultures, but what remains unchanged is a box of LU biscuits on the table. Also, in her recreation, Chinese elements such as ceramic vases were also added to echo the Chinese New Year. The limited-edition gift boxes are for sale on Tmall and JD only. Other gift boxes are available both online and offline. In the last two years, the times of Oreo gone viral on social media has radically refreshed the image of this sandwich cookie among people. The brand is known for being able to play. For this year's Spring Festival, they really want to surprise you with how to eat cookies, and the creativity level is absolutely 5-star. 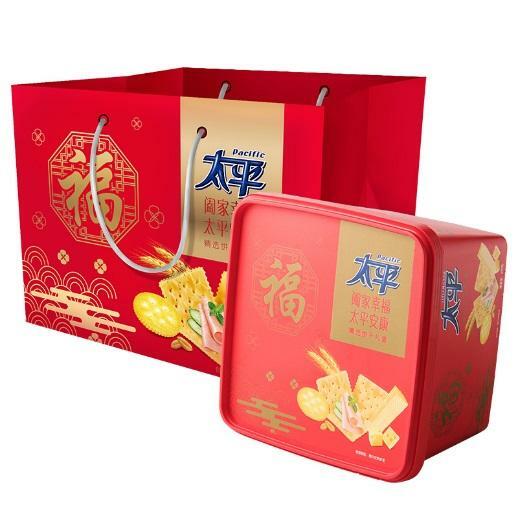 The well-designed gift boxes with the traditional festive patterns contain crust customized for the Chinese New Year in them, to make eating cookies really something special for the Chinese New Year. There are 10 kinds of limited-edition customized crust including Chinese New Year greetings, traditional Chinese New Year patterns, as well as hot phrases for the Chinese New Year. Each kind of crust is paired with each other randomly, and the probability to get each of them is different. This is like hiding coins within dumplings, and whoever is able to eat a dumpling with a coin in it would be lucky in the coming year. Oreo's ordinary promotional packages also contain the customized crust in addition to the images of celebrities, to appeal to consumers who are fans of those celebrities. Consumers are able to buy this product from various channels including grocery stores, convenience stores, the flagship store of Mondelēz on Tmall, and the Mondelēz section on JD in each of the major cities. Continuing its pursuit for "being delicious and fun", Chips Ahoy! has launched two packages for the 2019 Chinese New Year: One is the gift box for sharing, and the other is the gift can for parties. The Chips Ahoy! cookie doll wearing a fortuna cap stands within a golden-rimmed circle formed by connecting the four Chinese characters "福趣多多 (meaning good luck and have fun)" together with golden rays behind it. With the witty narration in Chinese "每逢过年胖三斤，不差这块小曲奇", which literally means that you will gain weight by three Jin every CNY, so it's no big deal to eat this small piece of cookie, the entire image is funny, witty and well-intentioned. The Chips Ahoy! gift can and the cookie dolls with the image of "pig"
One of the highlights of the Chips Ahoy! CNY gift can is the CNY cookie dolls with the image of "pig". You just need to pull out the red part on the head of the cookie dolls and pull the red slider on their head to be able to let them wish you good luck in the coming year. You can buy this product from various channels including major grocery stores, convenience stores, the flagship store of Mondelēz on Tmall, and the Mondelēz section on JD. The soda biscuit brand Pacific, which has been known for lacking variation, has launched a holiday marketing campaign this year by introducing the first Pacific CNY gift box. With a low sugar recipe, Pacific soda biscuits are light and easy to digest. They are very suitable for being kept at home on an everyday basis, and also provide a good choice for pairing with other snacks during parties. The bright red gift box will help to create a festive atmosphere in your home.